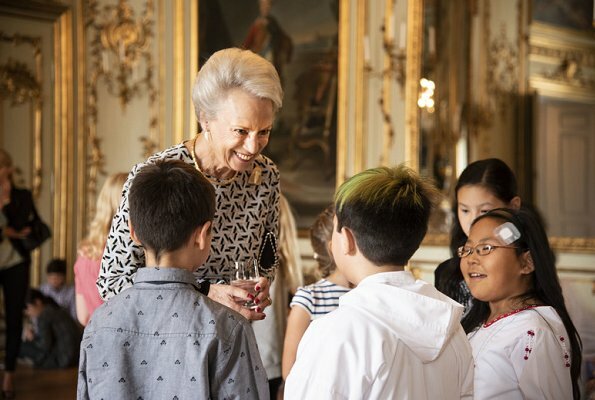 As in previous years, Princess Benedikte of Denmark met with exchange students from Greenland and their Danish hosts from Gentofte Municipality at Amalienborg, Christian VII's Palace in Copenhagen. 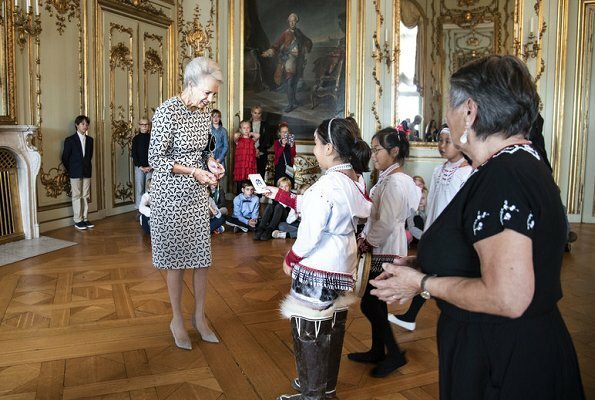 The Greenlander exchange students came from Tasiilaq School in Sermersooq. 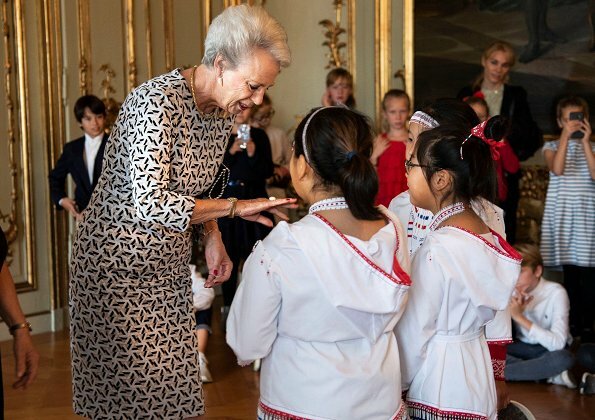 They live with Danish families in Gentofte Municipality. I do love the last picture. Beautiful smile. 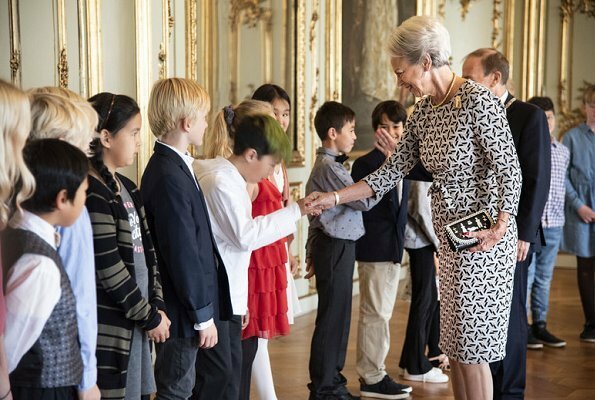 So nice to see Princess Benedikte like this. 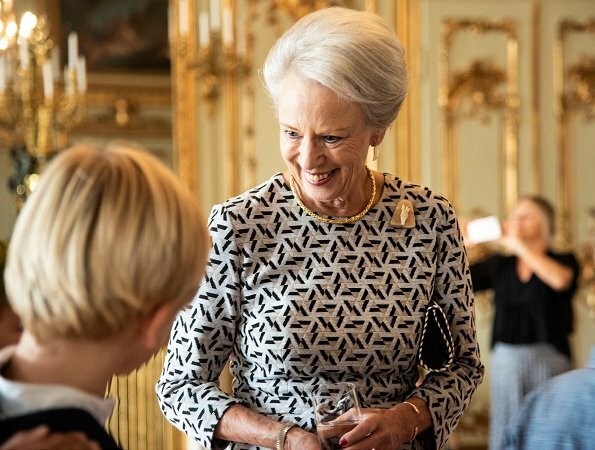 Benedikte is always very elegant. Hope this exchange has been positive for the children. She's such a classy, beautiful and elegant lady. Now this is how to dress! Wow! 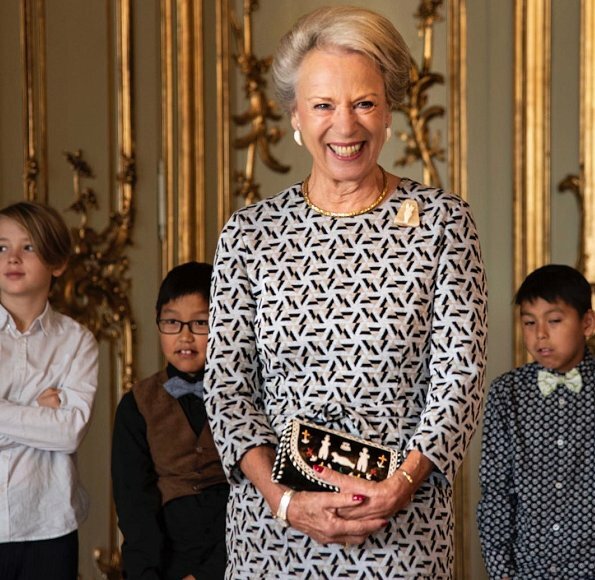 Ben always has impeccable style, I do look forward to seeing pics of her at events. 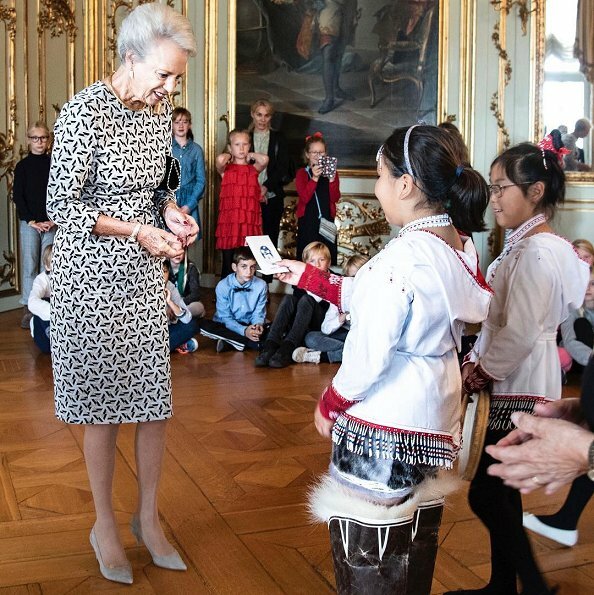 Princess Benedikte gives a style masterclass as usual. Lovely lady.